OK. I blasted Neil’s ill-conceived and poorly written memoir, Waging Heavy Peace a few reviews ago. That’s in the past. Here’s the present: Psychedelic Pill is as good an album as Young has crafted since Prairie Wind back in 2005. My third son Chris, knowing how much I love Young’s music, did an awesome watercolor of Young’s face superimposed over the Wind cover all done, as Young’s finest efforts are, in sepia tones. That’s the kind of vibe Neil and the Horse have put together here. Harkening back to the long, slow jamming of Everybody Knows this is Nowhere, one of Young’s earliest solo efforts, Pill has it all: long, twisted jams, short catchy tunes, and an oddity or two. (He’s Neil Freakin’ Young, what did you expect!) My favorite of the jammers is “Ramada Inn”, a tune that captures all of Young’s guitar and songwriting talents in a very simple, catchy refrain buttressed by the steady thump of Billy Talbot’s slap happy bass and Ralph Molina’s simplistic drumming. It’s a close cousin to “Down by the River”, also recorded with the Horse, and “Southern Man” off the CSNY Four Way Street concert disc. Those who are more into the “Cinnamon Girl” aspects of Young’s songwriting won’t be disappointed either. For you, there’s “Born in Ontario”. It’s not “Helpless”, probably one of the best songs ever written by a Canadian, but it’s a noteworthy ditty in its own right. Whether or not Young has been influenced directly or discretely by his American buddy, The Boss, “Walk Like a Giant”, a very weird tonal experience of great length, seems derivative of Springsteen’s “Swallowed Up (In the Belly of the Whale)” from The Boss’s 2012 album, Wrecking Ball. I have no idea if Young is emulating his American pal here but “Walk” is one weird tune, akin to “Number 9” by the Beatles. 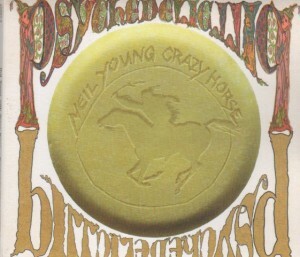 It’s worth a listen if only to try to fathom what, if any, secret message Neil is trying to impart on we mere mortals. What’s interesting is that, when I first plopped this CD into the changer in my Pacifica, I was a bit miffed. I thought that Disc One, with only 4 tracks, was it. Didn’t realize, until I looked closer, I’d only played half the CD. After listening all the way through both discs at least five times, I am sold. 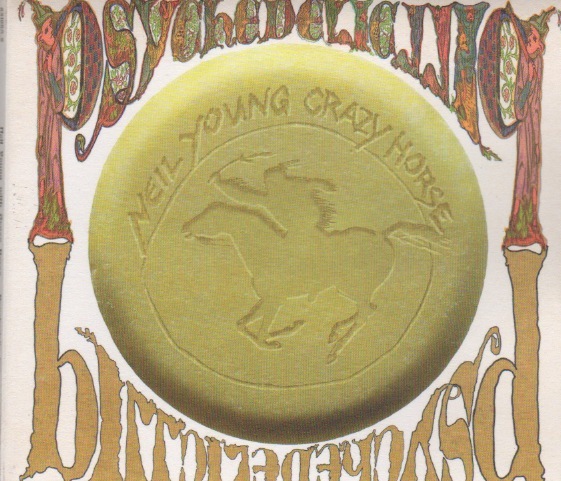 This is a great Crazy Horse collection and I am happy that I looked further and found the missing half of the album. 4 and 1/2 Stars out of 5. A perfect CD for a summer drive along Highway 61. (No offense, Bob).